Baker City, population 9,828 in the 2010 census, has never been awfully populous, but it has long been a stopover city for travelers, salesmen, and fortune seekers. There are and have been some noteworthy hotels, such as the Geiser Grand (1889), the Antlers (1900), and the Art Deco Hotel Baker (1929). All three are still standing, although only one is currently a hotel. 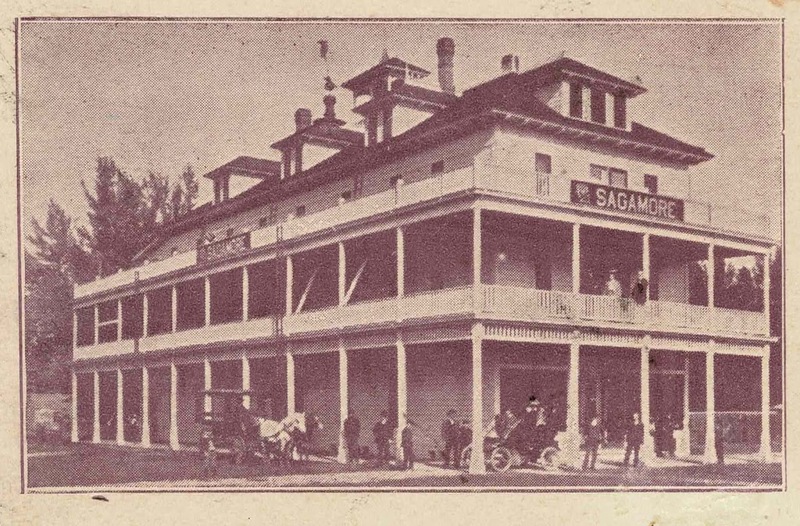 The Sagamore Hotel (1897) was a bit more modest, and it has vanished, torn down in 1959; the site has been a parking lot ever since. 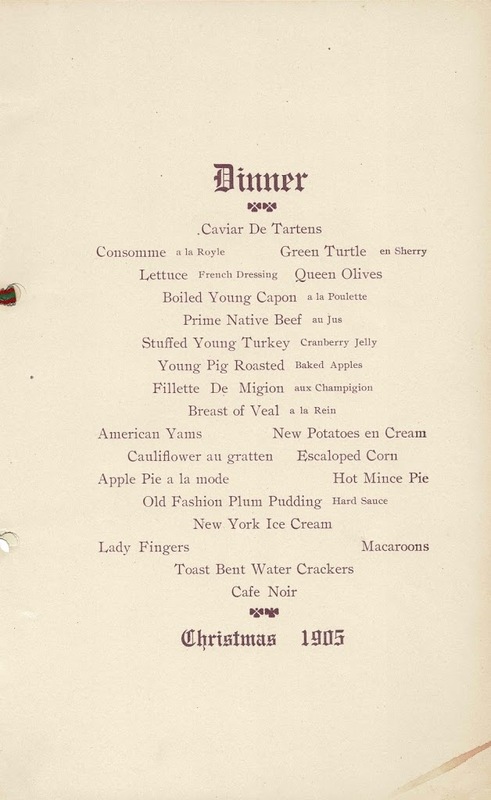 The resolution of this impasse I have yet to discover, but some kind of peace must have evolved, for here we have a 1905 Christmas dinner menu from the Sagamore. 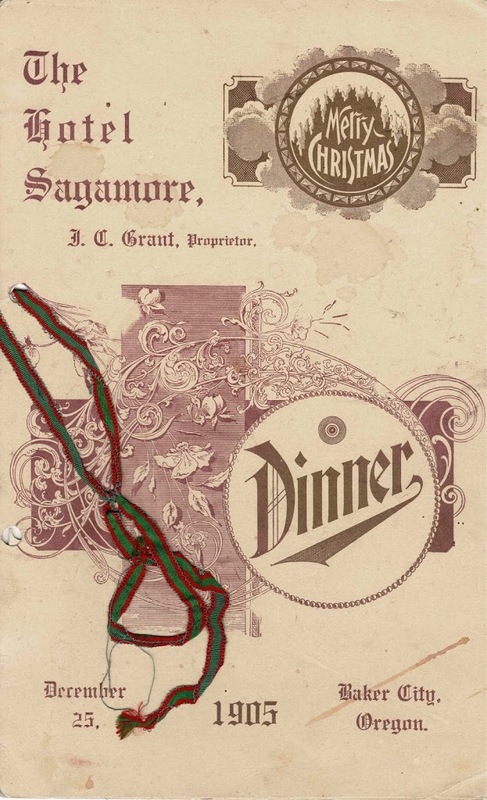 It’s an ambitious but straightforward offering, one that was likely partaken of by Sagamore guests and residents as well as other Baker City citizens. Who cooked it? I don’t know. « A Sly Sty Stealer?